Any event in the community, and the community members eagerly look forward to a welcome song by the young Vignesh (second from right in the picture) in their village. An aspiring singer, the 10-year old Vignesh studying in Class V, is multi-talented! Besides being good at studies and excelling in co-curricular activities, he is the President of the Child Club formed and facilitated by Antaranga, an ally of ActionAid India, in his village in Kandhamal district, Odisha. Antaranga and our Odisha Regional Office advocated for regularising the mid-day meals in Vignesh’s school and supported the community members in his village to get work under the Mahatma Gandhi National Rural Employment Guarantee Act (MGNREGA). 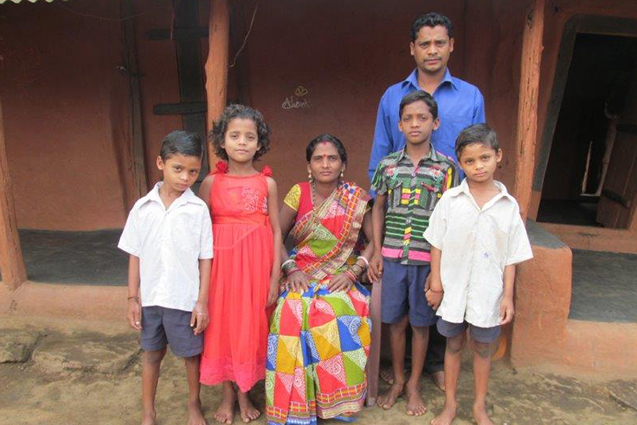 “ActionAid India and Antaranga have transformed our lives in many ways. My family got a puccahouse under the Indira AwaasYojana. The community members now go to work and the children in the village are regular to school,” says Vignesh, with a big smile on his face!